We use a special type of material mostly used in the aerospace industry. if you need any further info, drop me mail.logan@vortexperformance.co.za. I have had no issues after this was installed. Car has been running smooth. Ok so in September I bought a HPFP upgrade form Vortex Performance. Anyone else had an experience like this ? or checked the internals after running the HPFP internals for long ? Anyone know if the internals are hardened ? or what it's made of ? Howzit my man, I have no idea what happened there to comment. I supply lots of these and been doing it a long while with no issues. funny thing is I have had customers come to me with autotechs as well other brands with similar issues and used ours with no issues, so bottom line is if you have no issues then theres nothing to worry about. thesaint wrote: Howzit my man, I have no idea what happened there to comment. I supply lots of these and been doing it a long while with no issues. funny thing is I have had customers come to me with autotechs as well other brands with similar issues and used ours with no issues, so bottom line is if you have no issues then theres nothing to worry about. So what happens if this customer decided to get a refund or a product replacement? Would you turn him away or would you assist? Personally Autotech is the tried and tested by many with very little issues and if one failed they are normally replaced without any hassle. The issue is not that when it works it works or many people have no issues, the issue is how long will it last before this occur compared to brands like Autotech and VIS pump inserts. 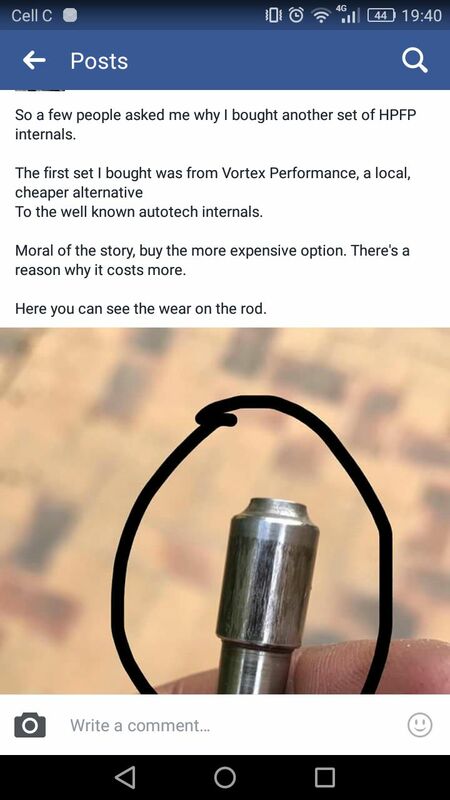 So if i was in a position as above then i would also feel uncomfortable when i see posts like that cause the wear is on the piston. Would be interested to see how the other section of the insert looks. I do my best to assist all my customers. 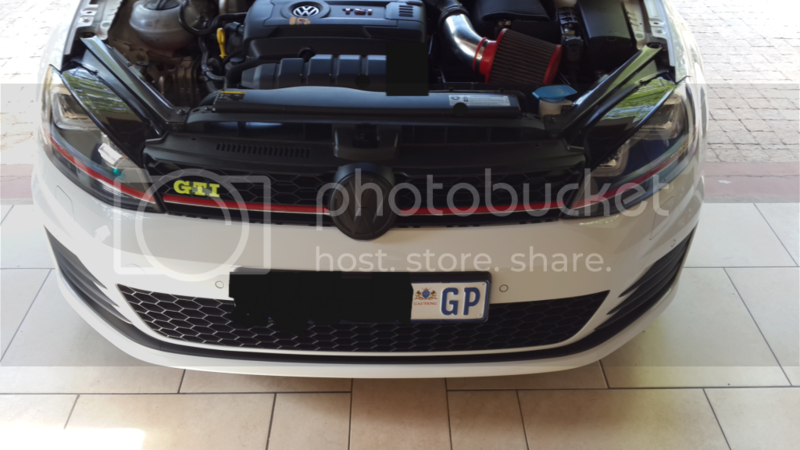 my details are on our site www.vortexperformance.co.za if you need any clarity or further info, feel free to contact me directly. I've also heard of tons of people using it without issue, I just want peace of mind, that if this were to happen to my pump it will be replaced.